All invoices will include the total of taxes, standard gratuity, other surcharges (Hwy Tolls) or promotion as they may apply, at the time of transaction. Any additional charges that may accrue during service, will be billed to the client's card on file. 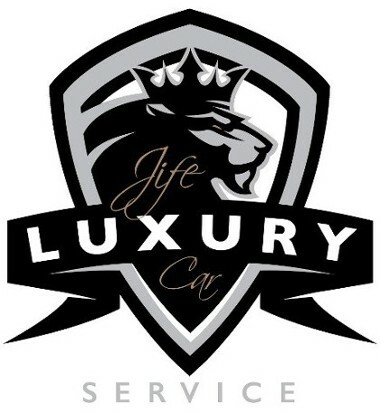 Zero Tolerance Policy - JIFE Luxury Car Service employs, maintains, and enforces to its drivers a zero tolerance policy prohibiting the use of intoxicating substances. It is the policy of JIFE Luxury Car Service not to employ persons who or traffic in illegal drugs, or who abuse prescription drugs or alcohol. Please call for a custom price quote, corporate packages, or offer. All fees and pricing are subject to change. Anniversary or Night on the Town 3 hours Minimum to reserve. 6 hours Minimum to reserve. Airport Wait Time - 30 mins Grace Period from the time the plane touch down. A wait time Fee of $8 for every 15 min. interval. After a maximum Full hour wait time (Plane touch down), the chauffeur is free to leave for the next scheduled client’s pickup. Reschedule - A $15 Fee will be accessed for any client who needs our office to assist in rescheduling a time or date for a different time slot (if available). However, each client can reschedule a different time or date (if available) for FREE by following the link on the client's confirmation email address at the time of booking. Pick Up Wait Time - 5 minutes GRACE PERIOD from scheduled pick up time - .25 cents a minute for a maximum of 15 minutes. Airport Curbside Pickup - NO CHARGE!! Airport Baggage Claim Meet and Greet - NO CHARGE!! JIFE Luxury Car Service knows sometimes in life, unexpected things happen. If you book a reservation of any of our services and have to cancel (No Cancellation Fees are charged if the customer cancels 2 days prior to the scheduled pickup time). At or within the 48 hours, clients scheduled the pickup time and a cancellation is made, then a charge of $30 cancellation fee will be applied. If we text or call you multiple times with no answer "No Call, No Show", we reserve the right to charge your card the full amount for that time slot reservation. "6 Hours prior to scheduled pickup." Sporting and Special Event - Starting @ $99 with a 4hrs minimum to reserve. Private Chauffeur - Call us for a quote. Minimum of 4hrs to reserve. Surcharge - $9 charge for any scheduled pickup that is more than 30 miles from the business location. Holiday Upcharge - Any reservation booked a day before a Holiday, the day of a Holiday and a day after a Holiday will incur an additional $15 charge. Premium Hours - Any reservation booked during premium hours (12am -4:30am) will incur an additional $10 charge. No Show/No Answer - Our chauffeurs will make every effort to call the client’s phone on file with us. The chauffeur will wait for the client but after 30mins of No show or No answer calls - the chauffeur is free to leave for the next scheduled pick up. If no answer after several calls (Plane land or pick up), the client is charged the Full Price. Car Seat Rental - $8 PER CHILD SEAT (BOOSTER). Additional Stops - $20 for each additional stop. However, deviation from the specified itinerary or a new request(s) made while in the vehicle will trigger a stop charge. Clean Up Fee - $250 clean up fee (No Exception) will be charged for any vomit. Inside Cabin Fees - A charge to the client’s card in an event that physical damage is caused to the vehicle including but not limited to upholstery, rips and tears to the carpet, or any other material; damage to moldings, hanger holder, door panels or other components. No Smoking (No Exception!!) All Vehicles Are Grounded For Icy Weather!!! !